PPHS junior goalkeeper Monica Cook (1) attempts a goal kick during the Lady Knights’ 2-0 setback to Sissonville on Thursday night in Mason County. POINT PLEASANT, W. Va. — A tale of two halves. 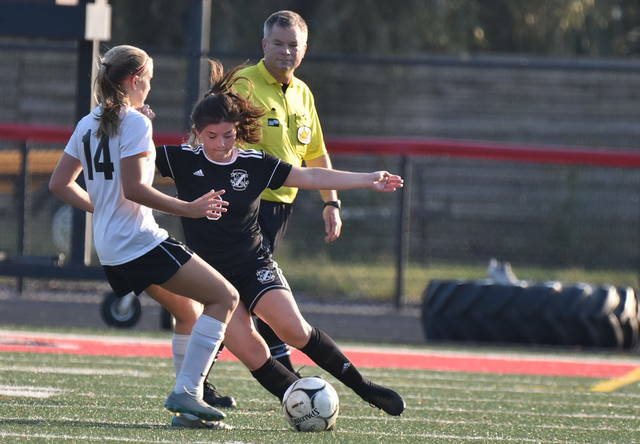 The Point Pleasant girls soccer team ended the first half of play tied a 0-0 in Thursday night’s match against visiting Sissonville, but the Lady Indians netted two goals early in the second half en route to 2-0 setback of the Lady Knights at Ohio Valley Bank Track and Field in Mason County. 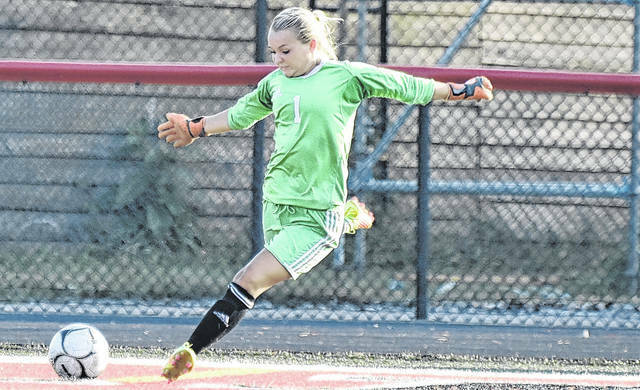 PPHS (5-5-2) troubled SHS (8-2) goalkeeper Sydney Farmer throughout the contest, as they fired a total of 13 shots in the game — including 10 on goal. Farmer however, finished the contest with 10 saves, to preserve the clean sheet victory for the visitors, while Point Pleasant goalkeeper Monica Cook finished with six saves. 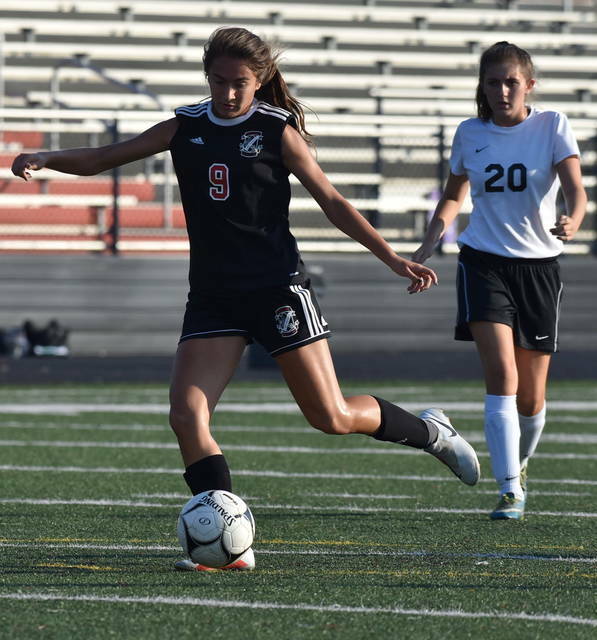 Following the scoreless tie first half, Sissonville recorded the first goal of the match when Alleigh Jordan’s shot at the 34:37 mark propelled SHS to a 1-0 advantage. Jordan tacked on her second goal of the match in the 54th minute to further the margin to 2-0. Despite the setback, the Lady Knights outshot the Lady Indians by a margin of 13-6, and also claimed a 2-1 advantage in corner kicks. The visitors committed a total of four fouls in the match, while PPHS had two. Next up for Point Pleasant, a home date with Scott on Saturday.